Named one of the best places to live in America in 2017, Naples is the perfect community for Florida homebuyers. Located on the shores of the Gulf of Mexico, Naples offers a beautiful climate year round and a stunning natural environment. Residents enjoy ample time in the Florida sun on the pristine beaches, at the golf course, or exploring one of the numerous parks and natural reserves in the area. The historic downtown area offers diverse shopping options, world-class restaurants, and incredible entertainment venues. 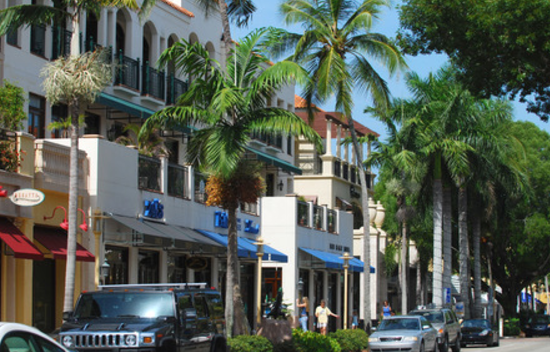 A low crime rate, highly ranked schools, and variety of housing options make Naples a great community for families. Whether you are looking for your permanent residence or vacation property, come discover all that the Naples real estate market has to offer! Naples is a paradise on earth for anyone that loves to stay active outdoors. The city is filled with incredible recreational facilities. With pristine beaches, beautiful parks, endless golf courses, and natural areas, residents will find the perfect spot to enjoy the 300 days of sunshine in Naples. The Naples Community Services Department houses the city’s Parks and Recreation department. This department operates and maintains the numerous community parks located throughout the city. These parks offer a wide variety of amenities, including walking and biking trails, playgrounds, athletic fields and courts, picnic areas, and more. There are specialty facilities as well, such as the Arthur L. Allen Tennis Center (735 8th Avenue South), River Park Aquatic Center (451 11th Street North), The Edge Johnny Nocera Skate Park (1600 Fleischmann Boulevard), and Naples Dog Park (99 Riverside Circle). It comes as no surprise that the highlight of the recreational facilities in town are found along the Gulf of Mexico. Naples has over 10 miles of beaches. These beaches are operated by the community itself as well as Collier County. The main community beaches are Clam Pass Park (Seagate Drive & Crayton Road), Delnor-Wiggins Pass State Park (11135 Gulfshore Drive), Lowdermilk Park (1301 Gulf Shore Boulevard North), North Gulf Shore Boulevard Beach (North Gulf Shore Boulevard), and Vanderbilt Beach Park (Vanderbilt Beach Road). 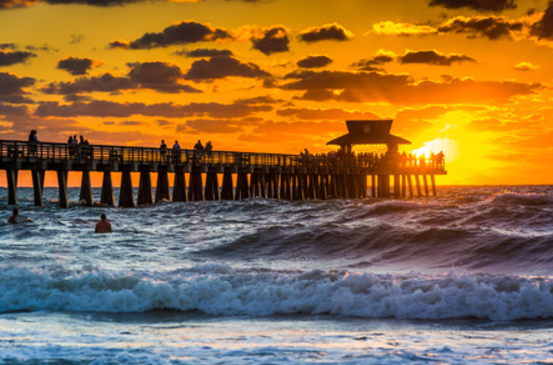 Be sure to stop by Naples Pier (25 12th Avenue South) for incredible fishing and the most spectacular sunsets you will ever see! Golf is more than a sport in Naples; it is a lifestyle. The city boasts one of the largest concentrations of golf courses in the country, with over 80 public and private Golf Courses located within the city limits. Other favorite Naples recreational spots for families include the Bird Rookery Swamp Trail (1295 Shady Hollow Boulevard), Naples Botanical Garden (4820 Bayshore Drive), and Naples Zoo at Caribbean Garden (1590 Goodlette-Frank Road). Residents in Naples are educated through Collier County Public Schools. This public school district comprises of 29 Elementary Schools, 11 Middle Schools, 8 High Schools, and 5 Charter Schools for students in kindergarten through 12th grade. These schools are located throughout Naples and the surrounding communities of Immokalee, Marco Island, and Everglades Island. Collier County Public Schools is consistently a top performing district in the state of Florida. It is recognized for its academic excellence, variety of extracurricular offerings, and widespread student access to technology. There are also many private schools in Naples, both faith based and non-denominational. Educating students in kindergarten through 12th grade, Community School of Naples (13275 Livingston Road) and Seacrest Country Day School (7100 Davis Boulevard) are two non-religious, independent schools that have been recognized as some of the best in the entire state. Naples residents have access to the many excellent health facilities located right in the city. 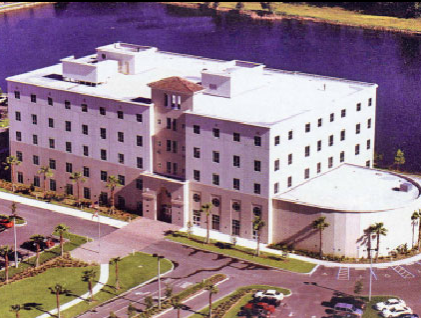 There are several family medicine and specialty clinics in Naples. Advanced Medical of Naples (720 Goodlette Road), Collier Urgent Care Centers (3 locations throughout Naples), and EPN Urgent Care (6400 Davis Boulevard, Suite 103) provide non-emergency, immediate care. There are four comprehensive hospitals that provide full inpatient and outpatient services as well as 24 hour emergency care. 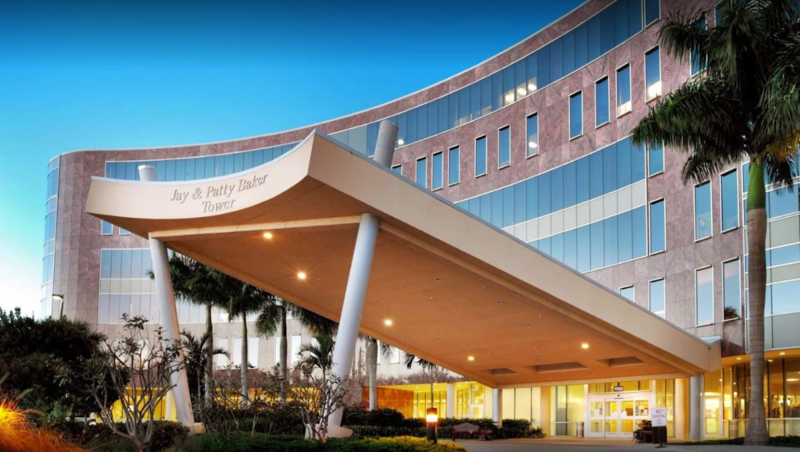 These hospitals include NCH Baker Hospital Downtown (350 7th Street North), NCH North Naples Hospital (11190 Health Park Boulevard), Physicians Regional Hospital Pine Ridge (6101 Pine Ridge Road), and Physicians Regional Hospital Collier Boulevard (8300 Collier Boulevard). Naples residents can easily commute throughout southwest Florida and beyond thanks to the excellent transportation network in the city. US Route 41 runs along the Gulf Coast and through the majority of Naples. Interstate 75 is located just east of the city. This major thoroughfare connects Naples to Fort Myers in the north and the Miami-Fort Lauderdale-West Palm Beach metropolitan area in the east. For residents needing to travel beyond the immediate area, Southwest Florida International Airport (11000 Terminal Access Road, Fort Myers) is only 40 minutes away.